The end of year is always the best time to look back on the last 12 months. The InLoox community has grown a lot and we want to take the chance to thank all our readers – old and new – for your continuous support. Last year, we introduced our ongoing Back to Basics series, a kind of project management 101 refresher course, which we continued this year. We’ve also taken a closer look at the PMO’s role in project management in our PMO series as it plays an important part in an organization’s ability to deliver successful projects. This year, we also started our brand new series InLoox Best Practice, which aims to give you quick tips on how to get the most out of InLoox for Outlook. A project is always part of a larger project environment, which makes managing projects so challenging. A tool that helps project managers identify these threats, as well as opportunities, is the PESTLE analysis. The project management office is responsible for the overall project management controlling and for the maintenance of project management systems for the entire organization. It supports all projects of an organization and offers tools and other resources, such as project assistance, standards and guidelines, to all project managers. PMOs take on various tasks and functions in an organization which we’re examining in this blog post. There are more things we want to do than there are hours in a day, so it is important to choose the our activities wisely. But how can you make an informed and intelligent decision? One method that can help you is the Action Priority Matrix. Instead of wasting time on activities that require a lot of effort but yield little value, this diagram shows you the activities you should prioritize instead – activities that require little effort but leave a big impact. Organizations see an increasing need for PM professionals, but at the same time the available workforce is decreasing. The report “Job Growth & Talent Gap 2017-2027” examines the reasons for this gap. So you want to implement a project management office (PMO) into your organization? This four step guide will help you establish a project management office successfully. here is no one-size-fits-all project management office, but there are many different PMO types. We’re going to introduce the three most important PMO types in part 3 of our blog series. Organizations across industries are aiming to increase their efficiency and productivity. A simple self-assessment method is to compare your performance with that of your competitors (=benchmarking). Everybody is making new year’s resolutions – and almost everybody gives up on those resolutions within the first two January weeks. Despite the low success rate of resolutions, research has found out that making a resolution is still better than not making one. So here are the 10 resolutions every project manager should make – and keep. 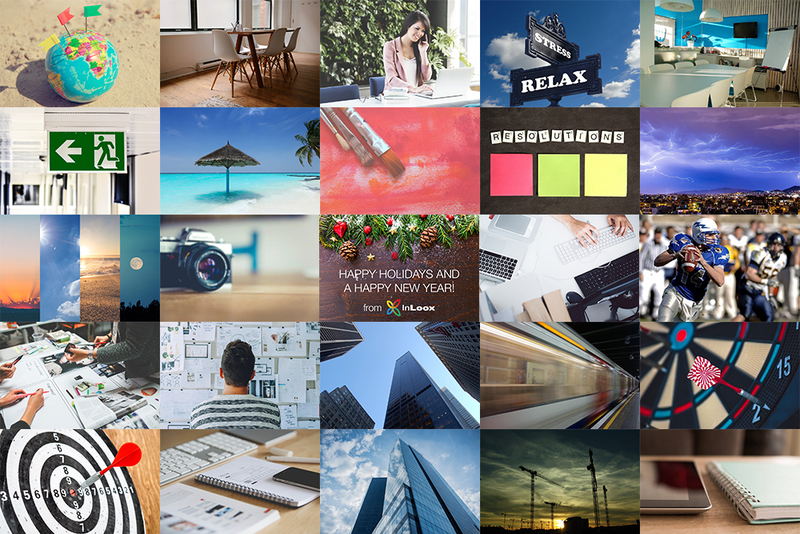 Best of 2017: The Top 10 Most Popular Posts on the InLoox Blog This Year - InLoox • Copyright 1999-2019 © InLoox, Inc. All rights reserved.